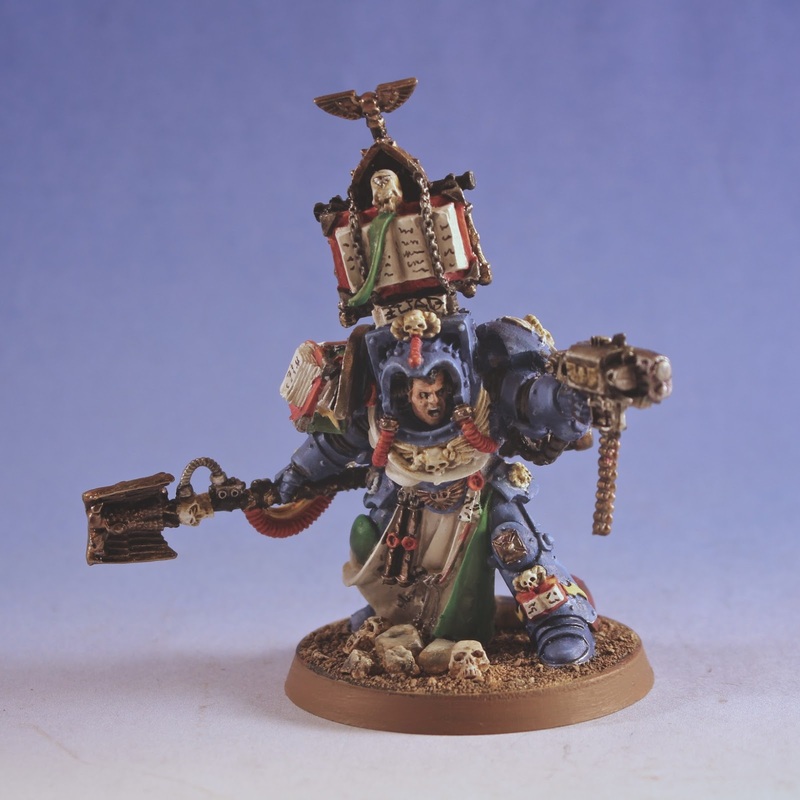 As many of you know, my favorite marine army is the Ultramarines. I love the look of the sharp blue on the battlefield and that is what really drew me to the army (you can now take your Smurf jokes and take a hike, lol!). 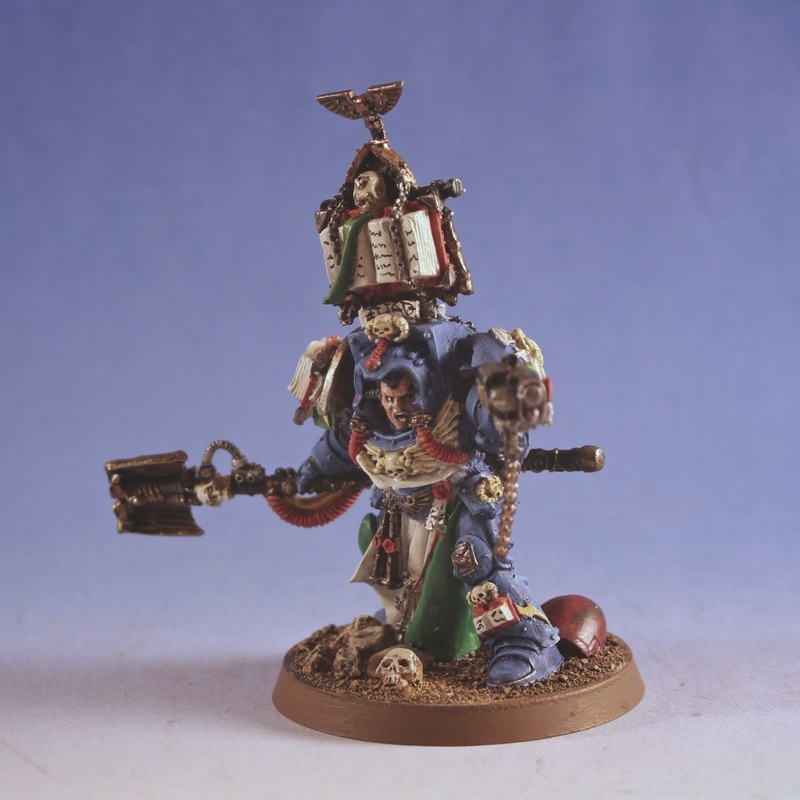 Anyway, it alway amused me that the color for Librarians was Ultramarine Blue. 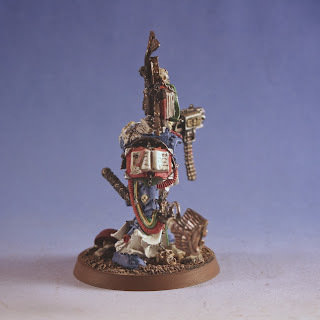 So when my teammates needed a Librarian painted, I was a happy painter. Being Dark Angels, the model needed some green which was easy to add to the knee pain and the back of the cloak. 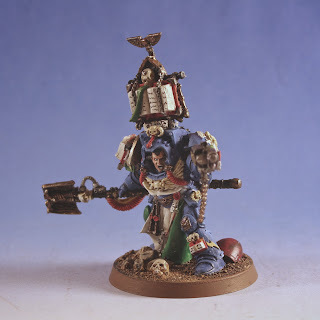 One way to make your models stand out is to color the back side of a robe, cloak, or whatever different than the front side. Its a simple note that I see many people opt not to do on their models. Again, the model was presented to me with the base pre-assembled, but I loved the skulls and light sprinkle of rock. 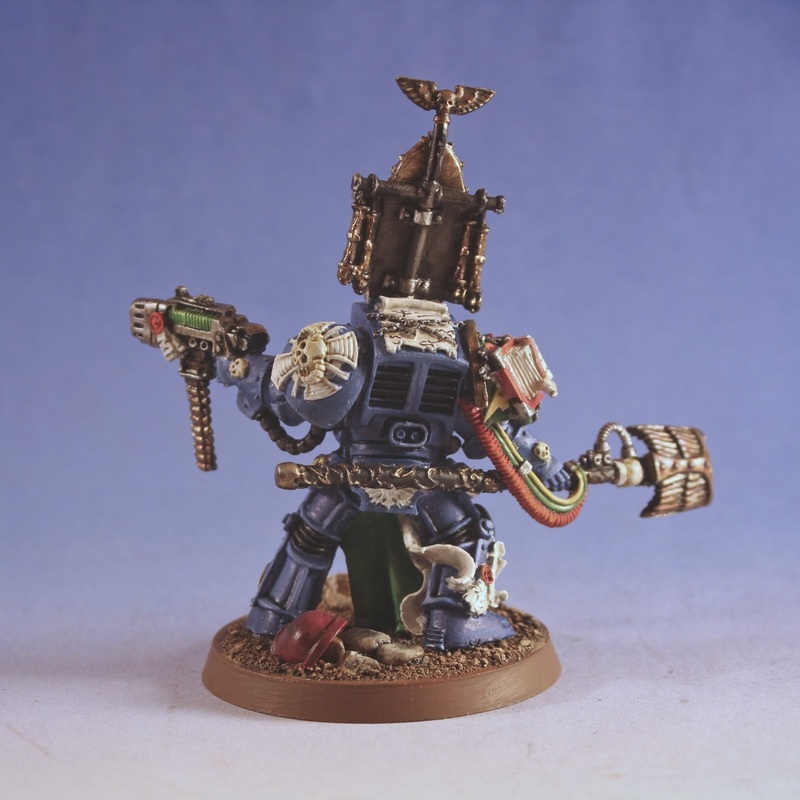 Unlike the Chaplain, the Terminator just has a lot of stuff going on. This time, a simple base does the trick.